I don't have info on where, when, or by whom, but this car was also reported to be scrapped several years ago (it hadn't come up in this thread before now). Survivor identified, thanks to MP Historical Society members Ted Ferkenhoff and Bill Pollard. First car: according to Jerry LaBoda's website, this is a Plan #2585 10S-1DR-2C, which entered MP MofW service as #X3488 and is now in Wagoner, OK.
292. 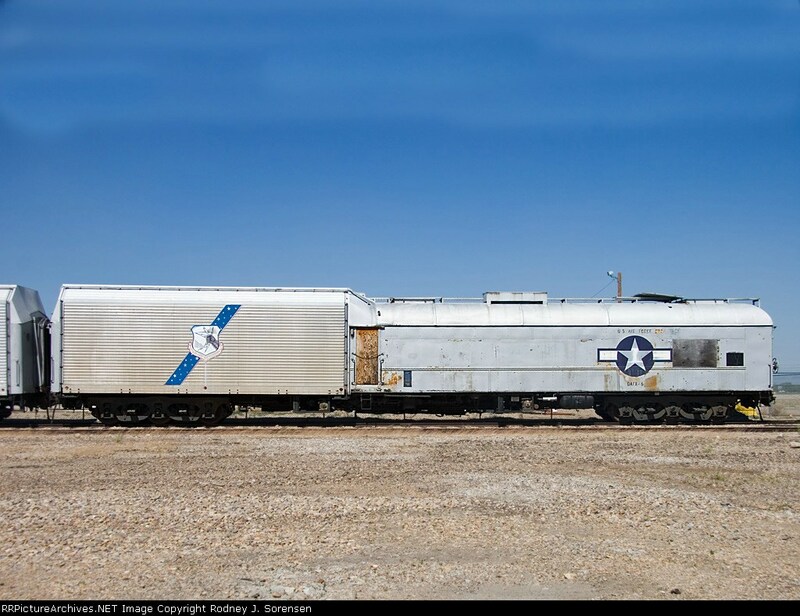 According to Jerry LaBoda's website, this is a Plan #2585 10S-1DR-2C, which entered MP MofW service as #X3488 and is now in Wagoner, OK.
Another survivor (found in a roundabout way). Note that the PRR lightweight next to the #94 is the Lionel Ives (ex-Alder Falls), which is listed as retired in 1971 and sold to "Trains & Travel Limited" in Arlington, VA; it would seem logical to assume that "Trains & Travel Limited" and "Rail Travel Associates", both based in Arlington, might be related or the same company. 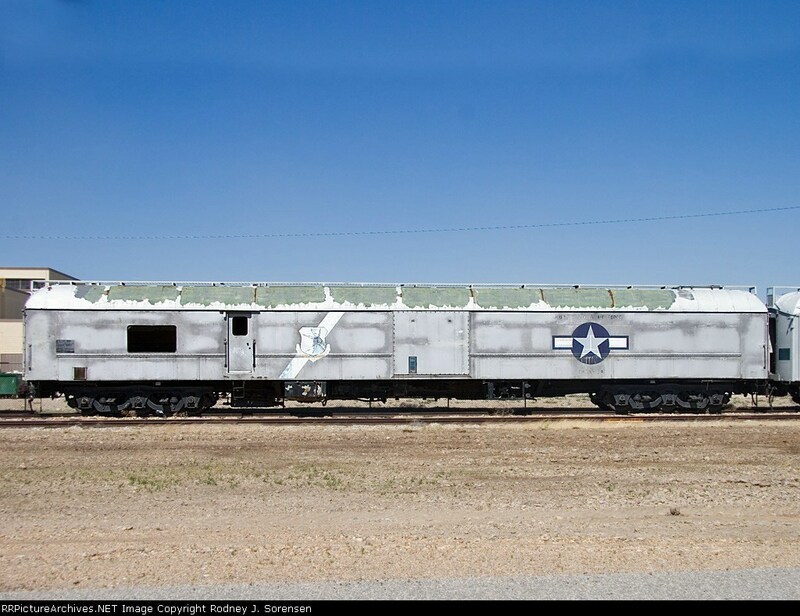 Unlike the #94, which was eventually scrapped, the Lionel Ives survives, now owned by M&E. Found a photo of another two possible cars, both on display(?) at Fairchild AFB in Washington. According to the photo, they are DAFX 7 and 17, dunno if those are correct or not. 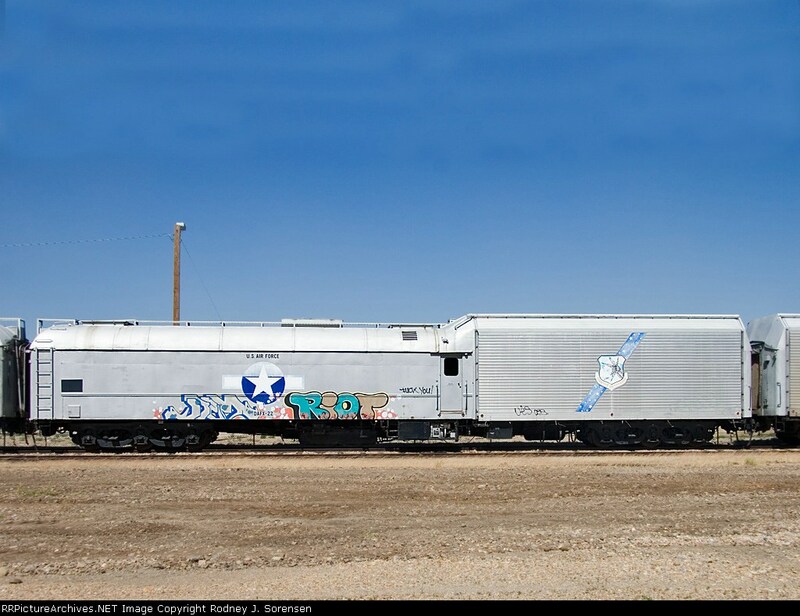 Got another three here, DAFX 6, DAFX 22 and DAFX 24, which were at one point stored near Ogden. Dunno if they are still there. Yes, no way of knowing without a local report if those 3 are still there, as the photos are from June 2005, so almost 14 years since. So, I won't assign line item numbers until we know one way or the other. There is a heavyweight Pullman (?) car at Fredericksburg Texas which is believed to be from the Quanah Acme & Pacific Railroad, thought to be originally the personal private car of Texas rancher Samuel Burkburnett who died about 1922. If it is that car, Teddy Roosevelt rode on it for a wolf hunt in 1905. The car number is 6666.